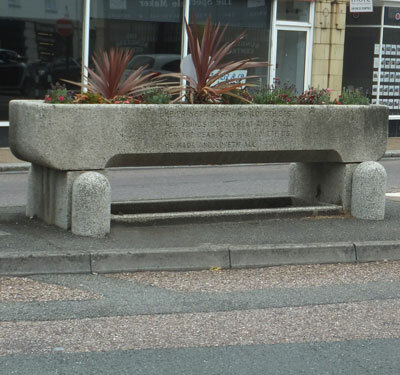 Positioned at the junction of High Street, Pyle Street and Carisbrooke Road in 1910 in memory of Sir Barrington Simeon of Swainston, MP for Southampton 1895 to 1906. 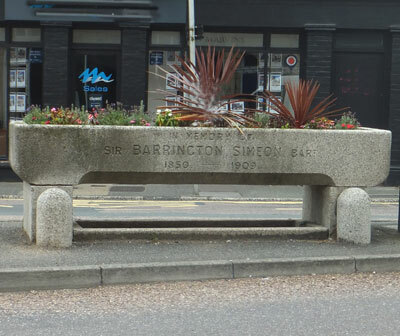 Side inscription above 'In Memory of, Sir Barrington Simeon Bart., 1850 - 1909. Now used as a flower planter.